If your dad is on his feet all day, the best gift you can give him is the gift of comfort and safety, while also looking cool. Keen Utility is known for putting together a high quality boot that construction workers love to wear. 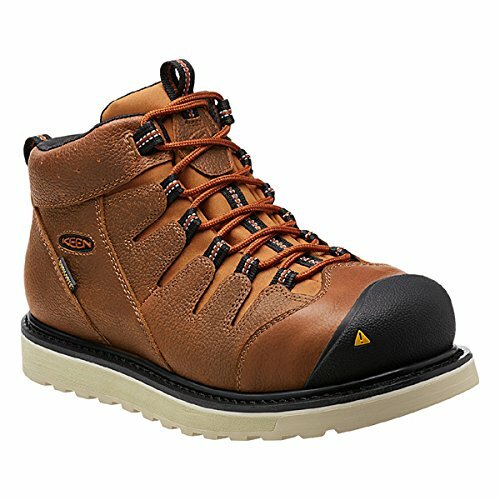 Personally, I’ve got the Keen Glendale Safety Boot ($179.95 on Amazon), but they’ve got plenty of options to choose from. Boots range from soft toe to steel and composite toe and low height to shin high. There are plenty of different styles and colors to choose from, too, so you’re bound to find plenty of options dad will love. HERE’S THE BEST PART: As part of our Father’s Day Gift Guide, we’re giving you the chance to win dad a pair of Keen Utility boots for free! The lucky winner will get a coupon card that allows them to pick any boot they want from Keen’s website! That’s up to a $200 value! One of the joys of being a dad is being able to pay for things for your children, so that’s an extra important reason to keep dad’s hands safe. You want your dad to be able to easily grab money out of his wallet, right? That’s what I thought. The best way to do that is to grab him a pair of Milwaukee’s Demolition Gloves ($29.99 on Amazon). These gloves are heavy duty, reinforced in all the right places, breathable, and technology friendly all in one package. Dad will still be able to operate his touchscreen phone and tablet in these gloves too, as the gloves are equipped with a touchscreen friendly index finger knuckle. I love the pair of Milwaukee gloves I own, so much that I might wear them on the golf course at the next outing. 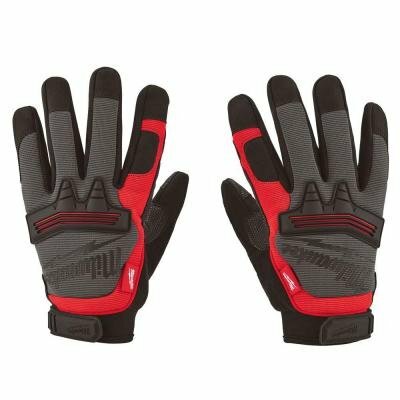 HERE’S ANOTHER BEST PART: The lucky winner that takes home the pair of boots in our Father’s Day giveaway will also get a pair of these Milwaukee Demo Gloves!!! Favorite kid award, here you come. Working outside is one of the perks and drawbacks of the construction industry. There’s plenty of fresh air, but you also have to deal with some nasty and unpredictable weather every once in a while. 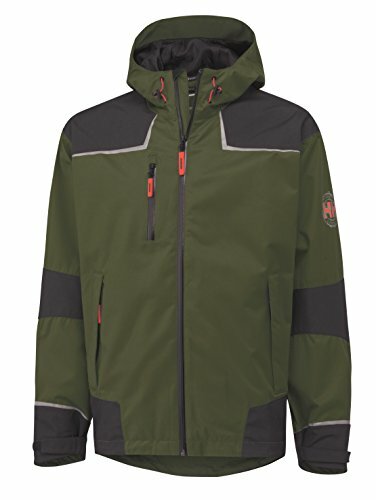 Enter Helly Hansen, who has been making weather resistant clothing for over 100 years, but is new to the workwear game. Their line of stylish, comfortable, yet extremely durable are going to propel them into a leader in the construction industry. These clothes look just as good on the jobsite, as they do off the job site. We suggest the Chelsea Waterproof Jacket in Racer Blue ($178.99 on Amazon). It’s wind and water resistant and has reflective elements throughout to keep your dad visible on the job site. I wore this jacket for a few hours during a 40 degree rain and sleet storm and my upper body stayed dry and warm, while my face and legs wished they were covered in some type of Helly Hansen gear. It’s really top quality stuff. Yep, you guessed it! We're giving away some Helly Hansen gear, as part of our Father's Day contest! More details on this to come! Your dad is tired of fumbling around with a bulky tape measures that make him do all the work. Get dad the Bosch BLAZE GLM20 Laser measure ($49.97 on Amazon); it’s lightweight, simple to use, and accurately measures distances of up to 65 feet within 1/8 of an inch. We’re not kidding about it being lightweight, either, it tips the scales at a cool 0.2 lbs, so dad can save all his muscles for helping you move all your furniture into your dorm room or house. We’re also giving away one of these laser measures as part of our Father’s Day giveaway contest! This thing just keeps getting better! A tool collection is a lifetime of hunting and gathering, so it’s not so easy to turn over an entire set of tools. So when DeWalt upgraded their newest batteries from 18V to 20V, it left some 18V tool users out in the cold. 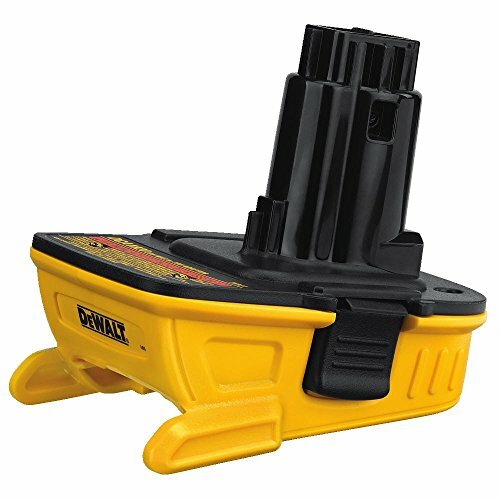 But fear not, loyal 18V DeWalt dads, you can now get an adapter for your 18V tools that allow the use of the new, more efficient 20V batteries. The adapter runs around $50 ($52.08 on Amazon right now), but it’s certainly much cheaper than buying all new tools. Dad can even use DeWalt’s new Bluetooth enabled batteries ($98 on Amazon), so he can protect and monitor the batteries from his smartphone! Dad’s gotta eat, it’s a time tested truth. Perhaps you send him off to work every day with a meal made with love, so the next greatest gift you can give him is a way to keep that food just as delicious as when it was made. 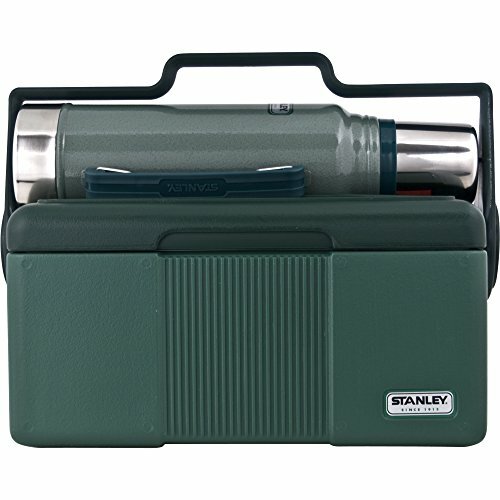 Stanley has been making thermoses and coolers for over 100 years, so they know how to make a quality product. This 7QT lunch cooler comes with a vacuum bottle that snaps to the cooler and keeps liquid cold or warm. This set is currently being sold on Amazon for $62.99. If your dad required a pick me up in the morning from a fresh cup of joe, you can’t be sending him to the jobsite and expect him to use some cheap plastic coffeemaker like a jump. 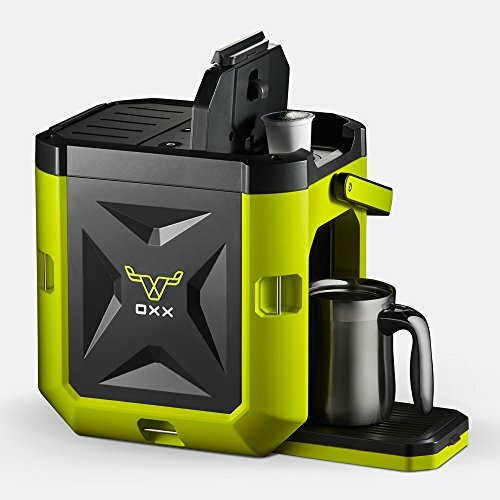 A construction dad needs a tough coffeemaker, like this Coffeeboxx by Oxx, which is so tough you can set a Jeep on it and it won’t crush. I’m serious, there’s a video of it. The Coffeeboxx uses K-cup technology, so no lugging around a can of coffee, either. Just plug it in and you’ve got a fresh cup of coffee in 90 seconds. Smartphones and Tablets are infiltrating their way onto many construction jobs sites, so it’s a tough task keeping them safe from dirt, dust, water, and drops. That’s exactly the reason a construction dad should entrust his gadgets to cases and screen protectors that meet military drop standards. 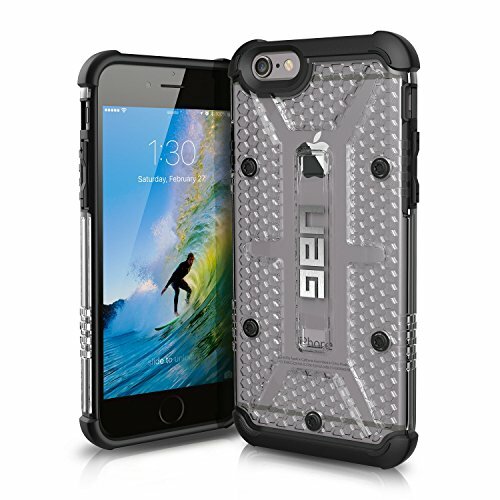 These cases from UAG will give dad a sleek looking, functional, and ultra-protective means for keeping his favorite technology dent and crack free. UAG is available for the most popular Samsung, Apple, and Microsoft devices. A case for a Microsoft Surface Pro 4 Tablet runs $69.95 on Amazon and you can grab a case for dad’s iPhone for $26.99 on Amazon. Some Dad's just don't want the music to ever stop. 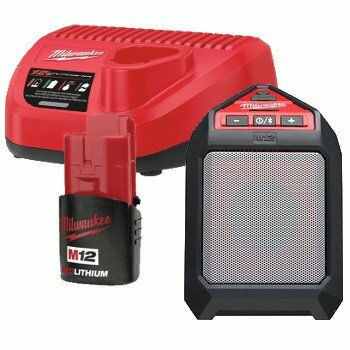 This Milwaukee Wireless Speaker ($100.99 on Amazon) will cut through any construction noise. I can attest that this little speaker can fill an 8,000sf building with your Dad's favorite Classic Rock jams. It will also charge your phone for you too! If rocking out in public is not your Dad's style, try out one of these Aukey Bluetooth headphones ($32.99 on Amazon), so he can keep the music to all to himself. We’re giving YOU the chance to win several of the amazing products that we mentioned above, including KEEN Utility boots (free shoe card w/ online code), Milwaukee Work Gloves (size L or XL), Bosch Laser Measure, and Helly Hansen workwear apparel (more details on the Helly Hansen apparel coming soon). This total package is worth over $350! Plus, you’ll be your dad’s new favorite child and that’s priceless. All official rules are below, but please note that you must be 18 years or older and a legal US resident to be eligible to win. Entries must be received before June 3, 2016 at 11:59pm PST. There are 3 simple and easy ways to enter, you only need to pick one! Follow @ConstrJunkie on twitter and re-tweet our contest tweet, which is pinned to the top of our Twitter page and also embedded in this post directly below. Like Construction Junkie on Facebook and comment on our Father’s Day gift guide + giveaway contest post on Facebook by clicking the post below! 2. Log into Facebook.com, find the page “Construction Junkie” (the “Website”) and comment on the link for the Father’s Day Gift Guide + Giveaway on the “Construction Junkie” Facebook page. 3. Log onto twitter.com, find and follow user “@ConstrJunkie” (the “Website”) and re-tweet @ConstrJunkie’s tweet about the Father’s Day 2016 Gift Guide + Giveaway. Twitter users may need to make any private accounts public to be entered into the contest. This contest is in no way sponsored, administered, or associated with Twitter. Anyone found to have created multiple Twitter accounts to enter the contest will be ruled ineligible. Once successfully entered in the contest in any of the 3 ways listed above, the participant will be entered to win a Father’s Day Gift Prize Pack, approximate retail value $350. Limit one (1) entry per person and (1) per email address the duration of the Contest Period, regardless of method of entry. Last day to subscribe and be entered is June 3, 2016.